The division of the Zodiac into different signs dates from immemorial antiquity. It has acquired a world-wide celebrity and is to be found in the astrological systems of several nations. The invention of the Zodiac and its signs has been assigned to different nations by different antiquarians. It is stated by some that, at first, there were only ten signs, that one of these signs was subsequently split up into two separate signs, and that a new sign was added to the number to render the esoteric significance of the division more profound, and at the same time to conceal it more perfectly from the uninitiated public. It is very probable that the real philosophical conception of the division owes its origin to some particular nation, and the names given to the various signs might have been translated into the languages of other nations. The principal object of this article, however, is not to decide which nation had the honour of inventing the signs in question, but to indicate to some extent the real philosophical meaning involved therein, and the way to discover the rest of the meaning which yet remains undisclosed. But from what is herein stated, an inference may fairly be drawn that, like so many other philosophical myths and allegories, the invention of the Zodiac and its signs owes its origin to ancient India. I. The Hindus were acquainted with the precession of the equinoxes, as may Be easily seen from their work on Astronomy, and from the almanacs published by Hindu astronomers. Consequently they were fully aware of the fact that the constellations in the various Zodiacal divisions were not fixed. They could not, therefore, have assigned particular shapes to these shifting groups of fixed stars with reference to the divisions of the Zodiac. But the names indicating the Zodiacal signs have all along remained unaltered. It is to be inferred, therefore, that the names given to the various signs have no connection whatever with the configurations of the constellations included in them. THE NAMES OF THE SIGNS. THEIR EXOTERIC OR LITERAL MEANINGS. Twins, or Gemini (male and female). The Goat, or Capricornus (Crocodile, in Sanskrit). The figures of the constellations included in the signs at the time the division was first made do not at all resemble the shapes of the animals, reptiles and other objects denoted by the names given them. The truth of this assertion can be ascertained by examining the configurations of the various constellations. Unless the shape of the crocodile2 or the crab is called up by the observer’s imagination, there is very little chance of the stars themselves suggesting to his idea that figure, upon the blue canopy of the starry firmament. 1. Find out the synonyms of the word used which have other meanings. 2. Find out the numerical value of the letters composing the word according to the methods given in ancient Tantrika works. 3. Examine the ancient myths or allegories, if there are any, which have any special connection with the word in question. 4. Permute the different syllables composing the word and examine the new combinations that will thus be formed and their meanings, etc. etc. I shall now apply some of the above given rules to the names of the twelve signs of the Zodiac. I. Mesha.—One of the synonyms of this word is Aja. Now, Aja literally means that which has no birth, and is applied to the Eternal Brahma in certain portions of the Upanishads. So, the first sign is intended to represent Parabrahma, the self-existent, eternal, self-sufficient cause of all. III. Mithuna.—As the word plainly indicates, this sign is intended to represent the first androgyne, the Ardhanáreeswara, the bisexual Sephira-Adam Kadmon. IV. Karkátaka.—When the syllables are converted into the corresponding numbers, according to the general mode of transmutation so often alluded to in Mantra Shastra, the word in question will be represented by / / / /. This sign then is evidently intended to represent the sacred Tetragram; the Parabrahmadháraka; the Pranava resolved into four separate entities corresponding to its four Matras; the four Avasthas indicated by Jágrata (waking) Avastha, Swapna (dreaming) Avastha, Śushupti (deep sleep) Avastha, and Turiya (the last stage, i.e., Nirvana) Avastha (as yet in potentiality); the four states of Brahma called Vaiswanara, Taijasa (or Hiranyagarbha), Pragna, and Iswara, and represented by Brahma, Vishná, Maheswara, and Sadasiva; the four aspects of Parabrahma, as Sthula (gross), Sukshma (subtle), Vija (seed), and Sakshi (witness); the four stages or conditions of the Sacred Word, named Para, Pasyanti, Madhyama and Vaikhari; Nadam, Bindu, Sakti and Kala. This sign completes the first quaternary. V. Simha.—This word contains a world of occult meaning within itself; and it may not be prudent on my part to disclose the whole of its meaning now. It will be sufficient for the present purpose to give a general indication of its significance. Two of its synonymous terms are Panchásyam and Hari, and its number in the order of the Zodiacal divisions (being the fifth sign) points clearly to the former synonym. This synonym—Panchásyam—shows that the sign is intended to represent the five Brahmas—viz., Isánam, Aghoram, Tatpurusham, Vámadevam, and Sadyojátam:—the five Buddhas. The second synonym shows it to be Náráyana, the Jivátma or Pratyagátma. The Sukarahasy Upanishad will show that the ancient Aryan philosophers looked upon Náráyana as the Jivátma.5 The Vaishnavites may not admit it. But as an Advaiti, I look upon Jivátma as identical with Paramátma in its real essence when stripped of its illusory attributes created by Agnánam or Avidya—ignorance. The Jivátma is correctly placed in the fifth sign counting from Mesham, as the fifth sign is the putrasthanam or the son’s house according to the rules of Hindu Astrology. The sign in question represents Jivátma—the son of Paramátma as it were. (I may also add that it represents the real Christ, the anointed pure spirit, though many Christians may frown at this interpretation. )6 I will only add here that unless the nature of this sign is fully comprehended it will be impossible to understand the real order of the next three signs and their full significance. The elements or entities that have merely a potential existence in this sign become distinct separate entities in the next three signs. Their union into a single entity leads to the destruction of the phenomenal universe, and the recognition of the pure Spirit and their separation has the contrary effect. It leads to material earth-bound existence and brings into view the picture gallery of Avidya (Ignorance) or Maya (Illusion). If the real orthography of the name by which the sign in question is indicated is properly understood, it will readily be seen that the next three signs are not what they ought to be. Kanya or Virgo and Vrischika or Scorpio should form one single sign, and Thula must follow the said sign if it is at all necessary to have a separate sign of that name. But a separation between Kanya and Vrischika was effected by interposing the sign Tula between the two. The object of this separation will be understood on examining the meaning of the three signs. VII. Tula.—When represented by numbers according to the method above alluded to, this word will be converted into 36. This sign, therefore, is evidently intended to represent the 36 Tatwams. (The number of Tatwams is different according to the views of different philosophers but by Sakteyas generally and by several of the ancient Rishis, such as Agastya, Dvrásá and Parasuráma, etc., the number of Tatwams has been stated to be 36). Jivátma differs from Paramátma, or to state the same thing in other words, “Baddha” differs from “Mukta”9 in being encased as it were within these 36 Tatwams, while the other is free. This sign prepares the way to earthly Adam to Nara. As the emblem of Nara it is properly placed as the seventh sign. VIII. Vrischika.—It is stated by ancient philosophers that the sun when located in this Rási or sign is called by the name of Vishnu (see the 12th Skandha of Bhágavata). This sign is intended to represent Vishnu. Vishnu literally means that which is expanded—expanded as Viswam or Universe. 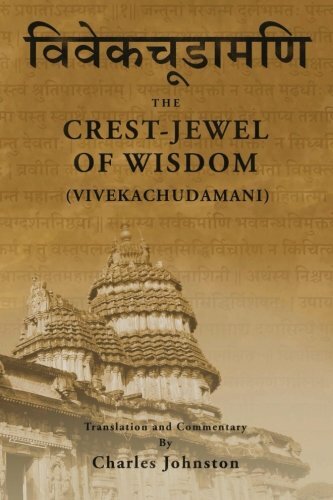 Properly speaking, Viswam itself is Vishnu (see Sankarácharya’s commentary on Vishnusahasranamam). I have already intimated that Vishnu represents the Swapnávastha or the Dreaming State. The sign in question properly signifies the universe in thought or the universe in the divine conception. It is properly placed as the sign opposite to Rishabham or Pranava. Analysis from Pranava downwards leads to the Universe of Thought, and synthesis from the latter upwards leads to Pranava (Aum). We have now arrived at the ideal state of the universe previous to its coming into material existence. The expansion of the Vija or primitive germ into the universe is only possible when the 36 “Tatwams”10 are interposed between the Maya and Jivátma. The dreaming state is induced through the instrumentality of these “Tatwams.” it is the existence of these Tatwams that brings Hamsa into existence. The elimination of these Tatwams marks the beginning of the synthesis towards Pranava and Brahmam and converts Hamsa into Sóham. As it is intended to represent the different stages of evolution from Brahmam downwards to the material universe, the three signs Kanya, Tula, and Vrischika are placed in the order in which they now stand as three separate signs. IX. Dhanus (Sagittarius).—When represented in numbers the name is equivalent to 9, and the division in question is the 9th division counting from Mesha. The sign, therefore, clearly indicates the 9 Brahmas—the 9 Prajápatis who assisted the Demiurgus in constructing the material universe. Now, Makaram is the tenth sign, and the term “Dasadisa” is generally used by Sanskrit writers to denote the faces or sides of the universe. The sign in question is intended to represent the faces of the universe, and indicates that the figure of the universe is bounded by Pentagons. If we take the pentagons as regular pentagons (on the presumption or supposition that the universe is symmetrically constructed) the figure of the material universe will, of course, be a Dodecahedron, the geometrical model imitated by the Demiurgus in constructing the material universe. If Tula was subsequently invented, and if instead of the three signs “Kanyá,” “Tulá,” and “Vrischikam,” there had existed formerly only one sign combining in itself Kanyá and Vrischika, the sign now under consideration was the eighth sign under the old system, and it is a significant fact that Sanskrit writers generally speak also of “Ashtadisa” or eight faces bounding space. It is quite possible that the number of disa might have been altered from 8 to 10 when the formerly existing Virgo-Scorpio was split up into three separate signs. Again, Kara may be taken to represent the projecting triangles of the five-pointed star. This figure may also be called a kind of regular pentagon (see Todhunter’s “Spherical Trigonometry,” p. 143). If this interpretation is accepted, the Rási or sign in question represents the “microcosm.” But the “microcosm” or the world of thought is really represented by Vrischika. From an objective point of view the “microcosm ” is represented by the human body. Makaram may be taken to represent simultaneously both the microcosm and the macrocosm, as external objects of perception. In connection with this sign I shall state a few important facts which I beg to submit for the consideration of those who are interested in examining the ancient occult sciences of India. It is generally held by the ancient philosophers that the macrocosm is similar to the microcosm in having a Shula Sariram and a Suksma Sariram. The visible universe is the Sthula Sariram of Viswam; the ancient philosophers held that as a substratum for this visible universe, there is another universe—perhaps we may call it the universe of Astral Light—the real universe of Noumena, the soul as it were of this visible universe. It is darkly hinted in certain passages of the Veda and the Upanishads that this hidden universe of Astral Light is to be represented by an Icosahedron. The connection between an Icosahedron and a Dodecahedron is something very peculiar and interesting, though the figures seem to be so very dissimilar to each other. The connection may be understood by the under-mentioned geometrical construction. Describe a Sphere about an Icosahedron; let perpendiculars be drawn from the centre of the Sphere on its faces and produced to meet the surface of the Sphere. Now, if the points of intersection be joined, a Dodecahedron is formed within the Sphere. By a similar process an Icosahedron may be constructed from a Dodecahedron. (See Todhunter’s “Spherical Trigonometry,” p. 141, art. 193). The figure constructed as above described will represent the universe of matter and the universe of Astral Light as they actually exist. I shall not now, however, proceed to show how the universe of Astral Light may be considered under the symbol of an Icosahedron. I shall only state that this conception of the Aryan philosophers is not to be looked upon as mere “theological twaddle” or as the outcome of wild fancy. The real significance of the conception in question can, I believe, be explained by reference to the psychology and the physical science of the ancients. But I must stop here and proceed to consider the meaning of the remaining two signs. XI. Kumbha (or Aquarius).—When represented by numbers, the word is equivalent to 14. It can be easily perceived then that the division in question is intended to represent the “Chaturdasa Bhuvanam,” or the 14 lokas spoken of in Sanskrit writings. XII. Mina (or Pisces).—This word again is represented by 5 when written in numbers, and is evidently intended to convey the idea of Panchamahabhutams or the 5 elements. The sign also suggests that water (not the ordinary water, but the universal solvent of the ancient alchemists) is the most important amongst the said elements. I have now finished the task which I have set to myself in this article. My purpose is not to explain the ancient theory of evolution itself, but to show the connection between that theory and the Zodiacal divisions. I have herein brought to light but a very small portion of the philosophy imbedded in these signs. The veil that was dexterously thrown over certain portions of the mystery connected with these signs by the ancient philosophers will never be lifted up for the amusement or edification of the uninitiated public. 1. The self-existent, eternal Brahmam. 3. The androgyne Brahmá, or the bisexual Sephira-Adam Kadmon. 4. The Sacred Tetragram—the four mátrás of Pranava—the four avasthas—the four states of Brahma—the Sacred Dharaka. 5. The five Brahmás—the five Buddhas representing in their totality the Jivátma. 6. The Astral Light—the holy Virgin—the six forces in Nature. 7. The thirty-six Tatwams born of Avidyá. 8. The universe in thought—the Swapna Avastha—the microcosm looked at from a subjective point of view. 10. The shape of the material universe in the mind of the Demiurgus—the DODECAHEDRON. TRIPLICANE, MADRAS, September 14, 1881. 1. Virgo-Scorpio, when none but the initiates knew there were twelve signs. Virgo-Scorpio was then followed for the profane by Sagittarius. At the middle or junction-point where now stands Libra and at the sign now called Virgo, two mystical signs were inserted which remained unintelligible to the profane.—ED. Theos. 2. This constellation was never called Crocodile by the ancient Western astronomers, who described it as a horned goat and called it so—Capricornus.—ED. Theos. 3. Works on Incantation and Magic. 5. In its lowest or most material state, as the life-principle which animates the material bodies of the animal and vegetable worlds, etc.—ED. Theos. 6. Nevertheless it is a true one. The Jiv-atma in the Microcosm (man) is the same spiritual essence which animates the Macrocosm (universe), the differentiation, or specific difference between the two Jivatmas presenting itself but in the two states or conditions of the same and one Force. Hence, “this son of Paramátma” is an eternal correlation of the Father-Cause. Purusha manifesting himself as Brahmá of the “golden egg” and becoming Viradja—the universe. We are “all born of Aditi from the water” (Hymns of the Maruts, X. 63, 2), and “Being was born from not-being” (Rig-Veda, Mandala I, Sukta 166).—ED. Theos. 7. Parásakti:—Literally the great or supreme force or power. It means and includes the powers of light and heat. Gnánasakti:—Literally the power of intellect or the power of real wisdom or knowledge. It has two aspects. I. The following are some of its manifestations when placed under the influence or control of material conditions. (a) The power of the mind in interpreting our sensations. (b) Its power in recalling past ideas (memory) and raising future expectation. (c) Its power as exhibited in what are called by modern psychologists “the laws of association,” which enables it to form persisting connections between various groups of sensations and possibilities of sensations, and thus generate the notion or idea of an external object. (d) Its power in connecting our ideas together by the mysterious link of memory, and thus generating the notion of self or individuality. Itchásakti:—Literally the power of the will. Its most ordinary manifestation is the generation of certain nerve currents which set in motion such muscles as are required for the accomplishment of the desired object. Kriyásakti:—The mysterious power of thought which enables it to produce external, perceptible, phenomenal results by its own inherent energy. The ancients held that any idea will manifest itself externally if one’s attention is deeply concentrated upon it. Similarly an intense volition will be followed by the desired result. A Yogi generally performs his wonders by means of Itchásakti and Kriyásakti. Kundalinisakti:—Literally the power or force which moves in a serpentine or curved path. It is the universal life-principle which everywhere manifests itself in Nature. This force includes in itself the two great forces of attraction and repulsion. Electricity and magnetism are but manifestations of it. This is the power or force which brings about that “continuous adjustment of internal relations to external relations” which is the essence of life according to Herbert Spencer, and that “continuous adjustment of external relations to internal relations” which is the basis of transmigration of souls or punarjanmam (re-birth) according to the doctrines of the ancient Hindu philosophers. A Yogi must thoroughly subjugate this power or force before he can attain moksham. This force is, in fact, the great serpent of the Bible. Matrikásakti:—Literally the force or power of letters or speech or music. The whole of the ancient Mantra Shastra has this force or power in all its manifestations for its subject-matter. The power of The Word which Jesus Christ speaks of is a manifestation of this Sakti. The influence of its music is one of its ordinary manifestations. The power of the mirific ineffable name is the crown of this Sakti. Modern science has but partly investigated the first, second and fifth of the forces or powers above named, but it is altogether in the dark as regards the remaining powers. 8. Even the very name of Kanya (Virgin) shows how all the ancient esoteric systems agreed in all their fundamental doctrines. The Kabalists and the Hermetic philosophers call the Astral Light the “heavenly or celestial Virgin.” The Astral Light in its unity is the 7th. Hence the seven principles diffused in every unity or the 6 and one—two triangles and a crown.—ED. Theos. 9. As the Infinite differs from the Finite and the Unconditioned from the Conditioned.—ED. Theos. 10. 36 is three times 12, or 9 Tetraktis, or 12 Triads, the most sacred number in the Kabalistic and Pythagorean numerals.— ED. Theos. 11. The five-pointed star or pentagram represented the five limbs of man.— ED. Theos. 12. The nine Kabalistic Sephiroths emanated from Sephira the 10th and the head Sephiroth are identical. Three trinities or triads with their emanative principle form the Pythagorean mystic Decad, the sum of all which represents the whole Kosmos.—ED. Theos.